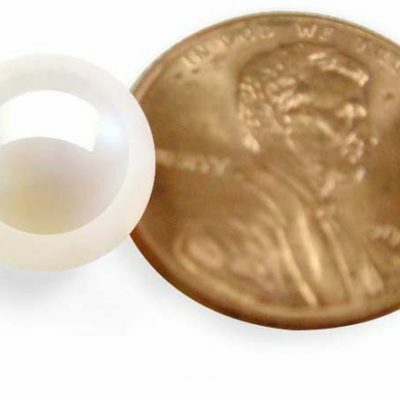 These are 8-9mm side drilled potato pearls with natural dents which show they are made of real pearls instead of plastic or imitation pearls. 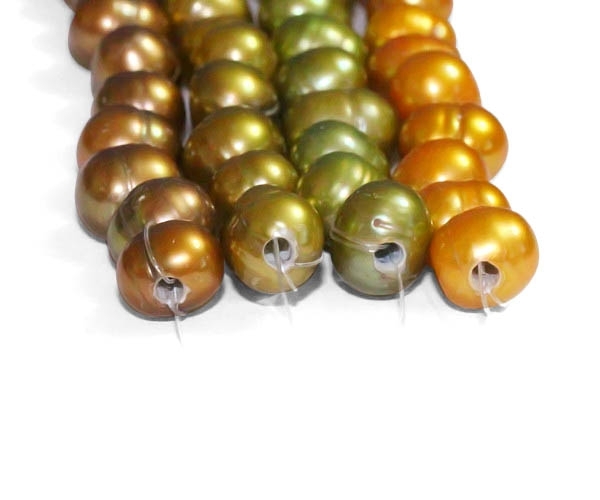 We just started carrying them because customers love their natural look. 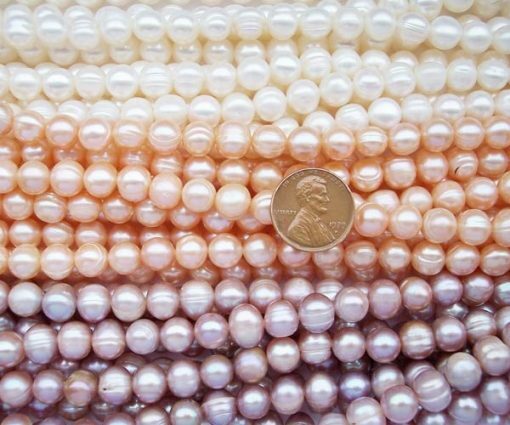 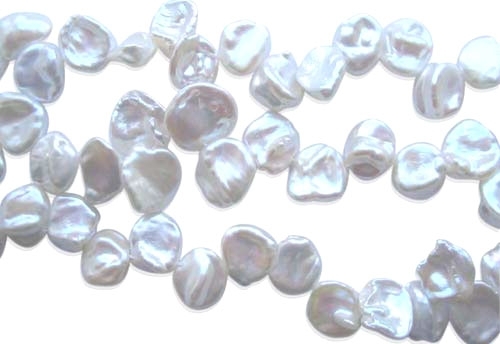 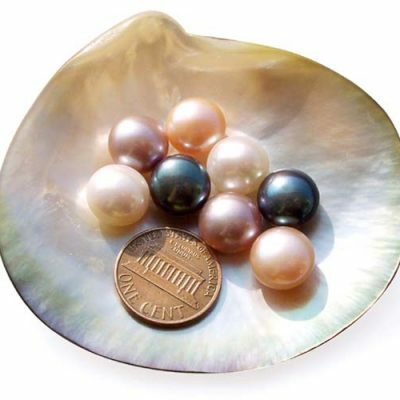 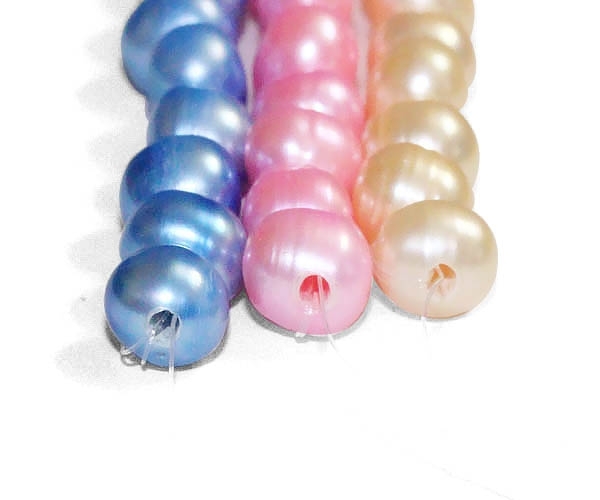 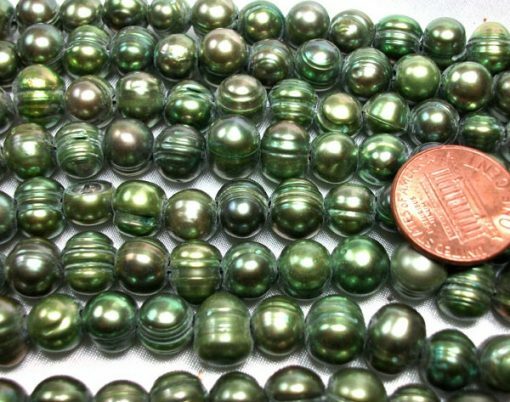 Each 15-15.5in loose, unfinished strand contains approximately 49 pearls (they have a high luster and natural dents) and weighs about 39 grams. 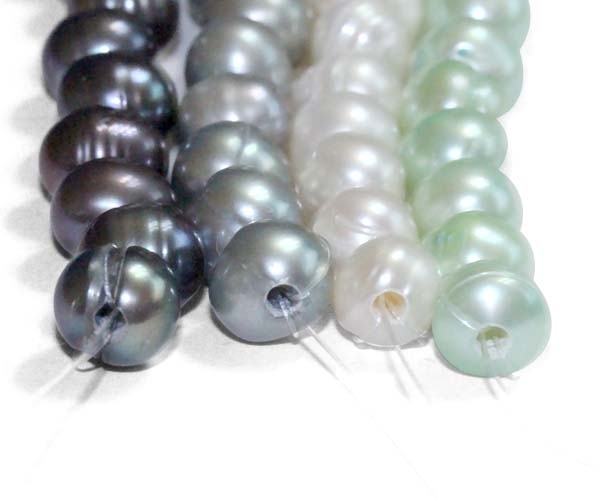 For illustration purposes the picture shows multiple strands.